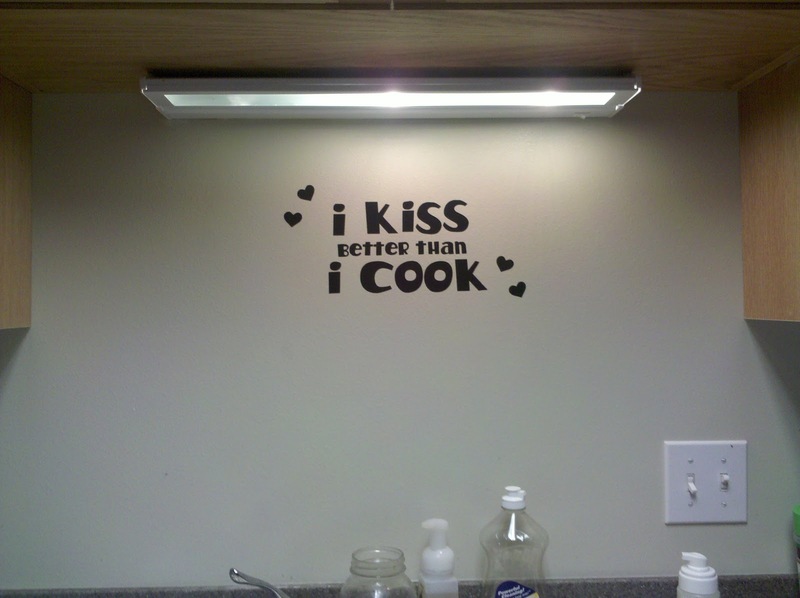 Anyway, I wanted to display this quote in our kitchen but wasn’t exactly sure where. My husband liked the quote too and to put it where I had initially thought was great for me and my vertically challenged self, but not so much for my much taller husband. It ended up above our kitchen sink. The perfect spot for both of us to enjoy it. If you would like one of your very own to enjoy as well, check out my ETSY store. 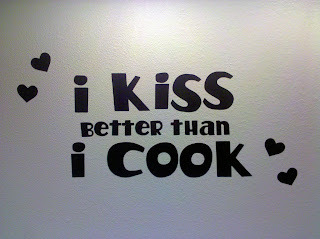 I also do custom vinyl wall decals… if you’re interested. Your wish is my command! I need the opposite. 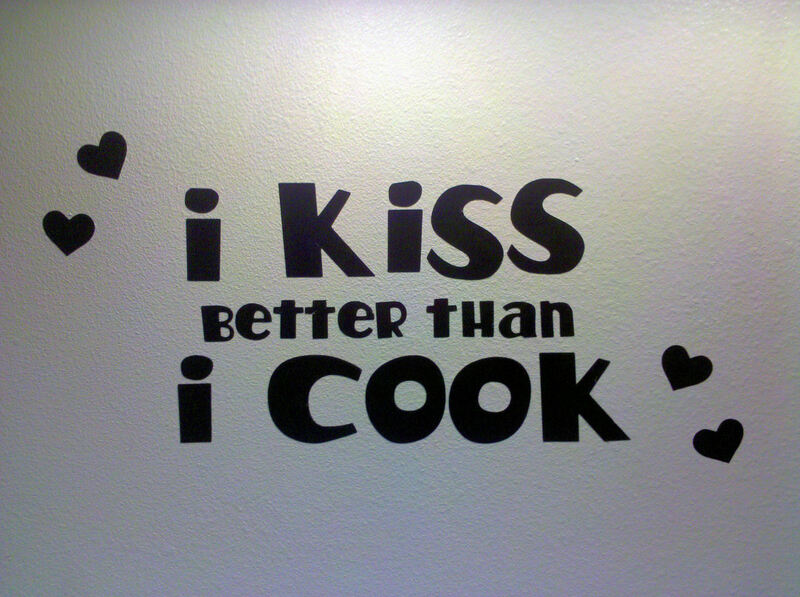 I cook better than I…. Anything else! Thanks for linking up to Topsy Turvy Tuesdays. That super cute. I wish that it wasn’t as true as it is for me. I am working on it. Thanks for sharing over at Tuesday Tell All. Aww, this is so awesome! What a good idea to add this to your kitchen… I really like the font you used too! I hope you can join my necklace giveaway going on now! Hope your cooking has improved…mine uh, has somewhat! HEHE. very cute!! I do love me some vinyl lettering!!! 🙂 I’m your newest follower… visting from sassy sites!